When Comcast finally goes before lawmakers and regulators to make its case for a merger with Time Warner Cable, it will likely promise a pile of concessions and policy changes in order to paint a rosier picture of the future. But Senator Al Franken of Minnesota is looking to the past, pointing out concerns with the cable company’s spotty track record. In a letter to FCC Chairman Tom Wheeler (see full text below), Franken asks that the Commission “take into consideration Comcast’s past compliance with legal mandates,” including the conditions placed on Comcast’s 2010 acquisition of NBC Universal. “To the extent that Comcast has a history of breaching its legal obligations to consumers, such history should be taken into account when evaluating Comcast’s proposal for future market expansion,” he writes. Franken’s concerns with Comcast predate the NBC deal. He points to complaints from 2007 of Comcast’s throttling of BitTorrent traffic. Comcast claimed at the time that it was slowing down the traffic in order to more efficiently manage its network. But the FCC disagreed, writing that Comcast’s “discriminatory and arbitrary practice unduly squelches the dynamic benefits of an open and accessible Internet and does not constitute reasonable network management.” The FCC also slapped Comcast on the wrist for not disclosing this practice transparently to its customers. The Franken letter then moves on to Comcast’s requirement, as part of the NBC deal to, among other things, increase local news and public affairs programming produced and distributed by stations owned and operated by NBC and Telemundo. The report also called out Comcast for allegedly inflating its stats for the amount of local news programming by including advertising time. Another condition of the NBC merger was that Comcast provide and promote a reasonably priced standalone broadband service for consumers who don’t want TV service from Comcast. But in June 2012 the FCC fined Comcast $800,000 after receiving numerous complaints that the affordable standalone service was not being promoted by the company and was not easy to find when looking for service packages. With regard to TV content, Franken calls out Comcast for its potentially anticompetitive practice of “neighborhooding,” wherein a cable provider groups together similar channels. The Senator points out that Comcast-owned news stations like MSNBC and CNBC are frequently clustered together with other news channels, but some competitors are relegated to far ends of the channel guide. It took an FCC order — and more than two years — for Comcast to finally include Bloomberg in with the other news stations. On February 13, Comcast announced its plans to buy Time Warner Cable for approximately $45 billion, a proposal that would concentrate significant power in the hands of an already huge corporation. I am concerned that the proposed acquisition could result in higher prices, fewer choices, and even worse service for consumers. In a previous letter, I urged you and your counterparts at the Federal Trade Commission and the Department of Justice to scrutinize Comcast’s proposal and to take all appropriate actions necessary to protect consumers. As part of that inquiry, I respectfully request that you take into consideration Comcast’s past compliance with legal mandates, including the terms and conditions the Federal Communications Commission (FCC) placed on Comcast’s acquisition of NBC Universal. To the extent that Comcast has a history of breaching its legal obligations to consumers, such history should be taken into account when evaluating Comcast’s proposal for future market expansion. However, when subsequent investigations revealed that Comcast was, in fact, selectively targeting and interfering with its prospective competitor, Comcast changed its argument, admitting that it degraded certain traffic but saying that such actions were necessary to manage the Comcast network. The FCC rejected Comcast’s argument and issued an Order against Comcast, stating: “[W]e conclude that the company’s discriminatory and arbitrary practice unduly squelches the dynamic benefits of an open and accessible Internet and does not constitute reasonable network management. Moreover, Comcast’s failure to disclose the company’s practice to its customers has compounded the harm.” Although the D.C. Circuit Court of Appeals subsequently vacated the FCC’s Order on statutory interpretation grounds, the underlying merits of the dispute and the conduct at issue remain relevant to the FCC’s consideration of Comcast’s proposed acquisition of Time Warner Cable. Localism. 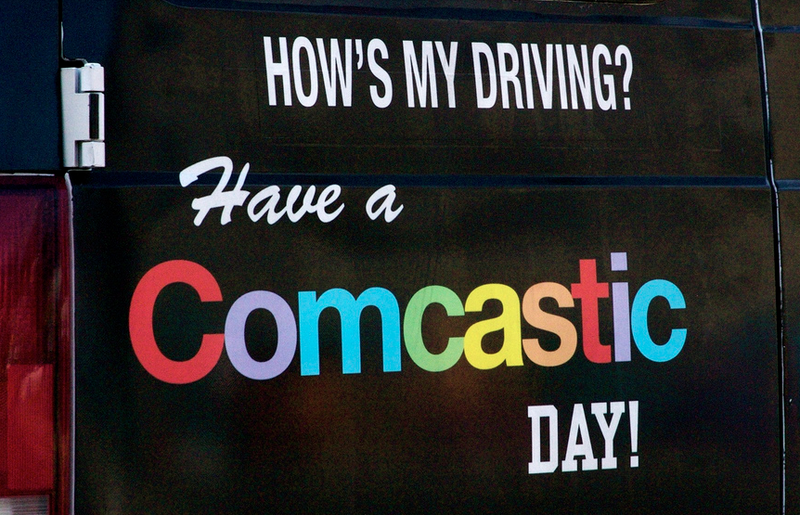 As a condition to its acquisition of NBC Universal, Comcast was required to implement certain localism policies. For example, Comcast was required to increase local news and public affairs programming produced and distributed by stations owned and operated by NBC and Telemundo. In May 2011, Free Press issued a report in which it analyzed Comcast’s first-quarter compliance with the localism requirements. Free Press concluded that “the data reveal a dearth of local news and public affairs programming,” particularly on Spanish-language networks. Perhaps most troubling, Free Press found that Comcast had overstated the amount of local news programming on its networks by counting advertising time toward the total programming time Comcast was required to make available to consumers. In evaluating Comcast’s proposed acquisition of Time Warner Cable, the FCC should scrutinize whether these allegations have merit, and, if so, whether Comcast has taken sufficient corrective action in response. Affordable Standalone Broadband. As a condition of its acquisition of NBC Universal, the FCC ordered Comcast to provide and promote a reasonably priced standalone broadband product for consumers who did not receive cable television service through Comcast. The condition was imposed to protect consumers who wished to decouple their cable television and broadband internet services – customers sometimes referred to as “cord cutters.” The condition also was intended to protect competition between online content providers, such as Netflix and YouTube, and cable-based content providers, such as Comcast. Before long, consumers and competitors began to complain that Comcast was hiding its standalone broadband product, making it difficult for consumers to break away from their cable service. In June 2012, after an investigation into the matter, the FCC fined Comcast $800,000 for its allegedly anticompetitive and deceptive behavior, and it extended Comcast’s obligations under the Comcast-NBC Universal conditions. Data Caps. In August 2012, Public Knowledge formally petitioned the FCC to take action in response to Comcast’s use of data caps, which allegedly violated net neutrality rules that Comcast was bound to follow, both under the FCC’s then-operative Open Internet Order and under the still-operative terms and conditions of the Comcast-NBC Universal deal. The Public Knowledge petition explained that Comcast had imposed limits on the amount of data its broadband customers could use each month, not unlike cellular telephone plans that limit the number of minutes a customer could use each month. Comcast allegedly used the caps to stifle competition: data used to download or stream videos from Netflix, Amazon, YouTube, and other rival content providers were counted against the cap, but videos from Comcast’s own video product were excluded from the cap. The effect of this arrangement allegedly was to increase the costs to consumers who used video products that competed with Comcast’s offerings. My understanding is that the FCC has not ruled on Public Knowledge’s petition. The FCC should examine this issue in connection with Comcast’s proposed acquisition of Time Warner Cable. Network Neighborhoods. When Comcast initiated its acquisition of NBC Universal in 2011, I sent the FCC a letter explaining that “this is a vertical merger that gives one company the ability to control both programming and the pipes that carry this programming.” In other words, Comcast, which already owned cable distribution channels, sought to acquire a significant share of the content that passed through those channels. I predicted that “Comcast would have strong incentives to favor its own programming and raise prices, thereby harming both consumers and competitors” and that Comcast would acquire the market power necessary to do just that. Sure enough, Comcast subsequently undertook efforts to favor its own programming and harm its competitors. For example, Comcast kept MSNBC and CNBC – its newly acquired channels – in a neighborhood of news networks while relegating Bloomberg News to a distant and undesirable location in the Comcast lineup. As a result, customers flipping through the news channels likely would not come across Bloomberg News, but they would come across MSNBC and CNBC. In June 2011, Bloomberg complained to the FCC. Comcast waged a protracted legal battle in response. Finally, in September 2013, the FCC issued an order compelling Comcast to stop its unfavorable treatment of Bloomberg News and comply with the conditions imposed on the Comcast-NBC Universal deal. Each of the incidents set forth above raises serious questions about Comcast’s proposed acquisition of Time Warner Cable. Simply put, the FCC does not write on a clean slate in this matter. Recent history, including Comcast’s adherence to the legal obligations it owes the public, should be taken into account when deciding whether to permit further consolidation in the cable and broadband markets. I remain eager to work with you on this important issue.